Merchandise is not sold in all stores. These mugs, canteens, and wine tumblers will be your go-to for keeping your cold beverages well chilled and your hot beverages perfectly hot. 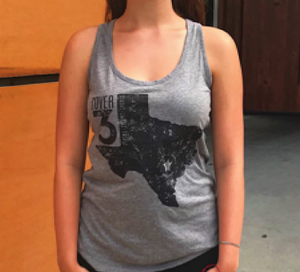 Beat the heat in a comfortable COVER 3 tank. 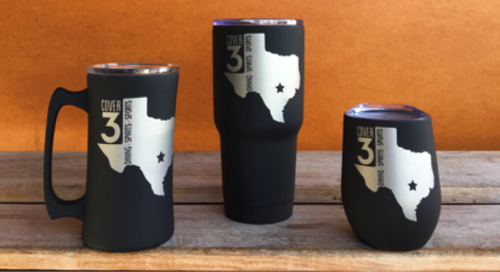 Adorned with the COVER 3 logo, state of Texas and a Lonestar at the ATX wrapped with "An Austin Original". 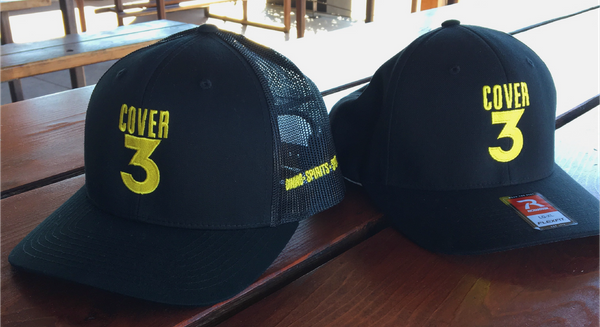 Our ball caps are comfortable and cool. 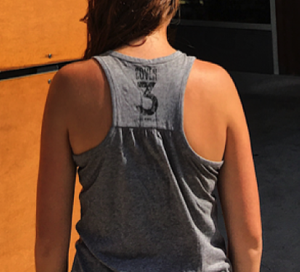 Adorned with an embroidered Cover 3 logo on the front and Dining Spirits Sports on the side. 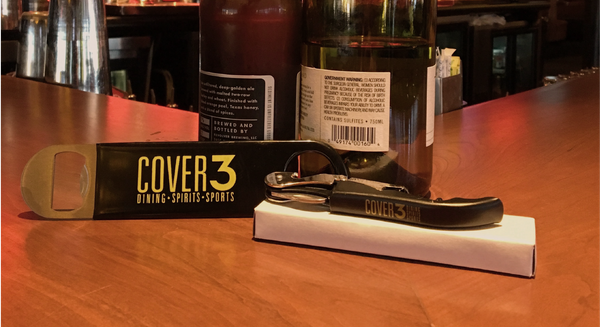 Stock your bar with the tools that the pros use! Waiter's Wine Key | This classic hinged wine opener features a metal body with matte black finish and stainless steel inserts and a foil cutter blade. Bartender's Bottle Opener | Sturdy vinyl wrapped metal bottle opener. 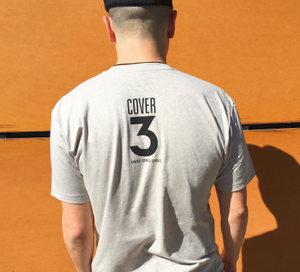 Cover 3's celebrating a decade! 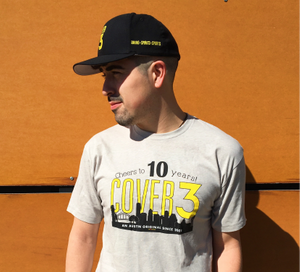 Flaunt your C3 pride as we Cheers to 10 years.